PhotographyTalk members have been uploading some incredible images to our galleries, some of the best of which are featured below. If you find yourself in a creative rut, just have a look at these beauties to find the inspiration you need to get back on track! Though the water droplets in this shot by FairmontDr are impressive, the color of the leaves is even more eye-catching. The electric green jumps out at you and grabs your attention! Having features like that in your photos is just what you want to induce viewers to inspect your photos! There’s a lot of features that help take a photo to the next level, and in this gorgeous shot by Fausto Meini, you can see a number of them on display. The texture in the foreground gives the shot tons of depth while the foggy goodness gives the image some drama. Editing with Skylum’s Luminar certainly helped, too! 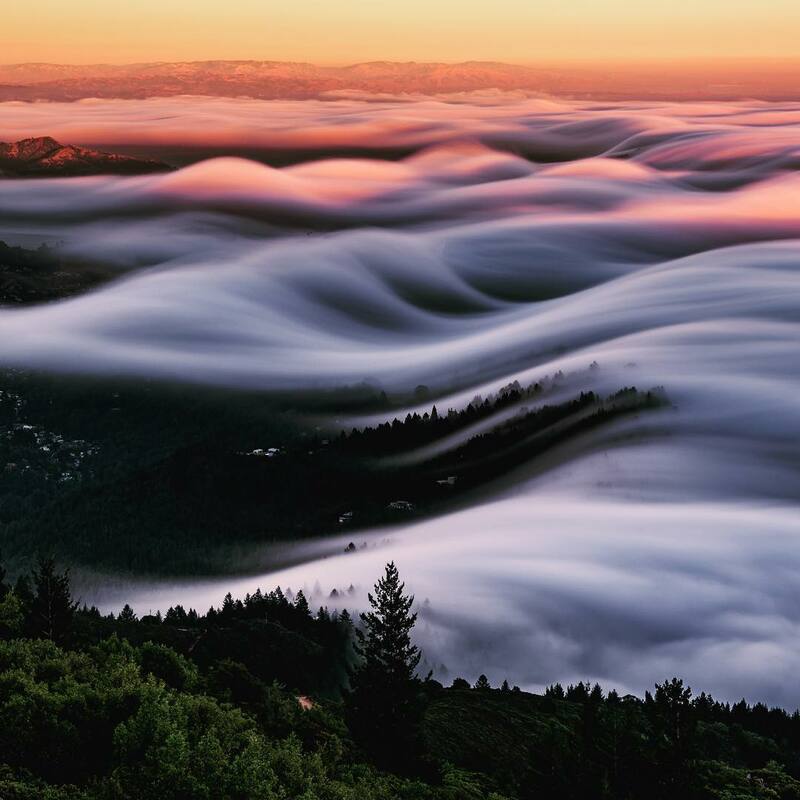 The undulating waves of clouds in this image by Bruce Getty give this shot all kinds of movement. That, in turn, makes you feel as though you’re looking at something dynamic, not static. If you want to ratchet up the impact of your photos, find ways to offer viewers implied movement, just like in this photo! Capturing portraits of children can be a tough task, but as this photo by Lilia shows, if you give them something to do, you can get candid shots that show tons of emotion and feeling. 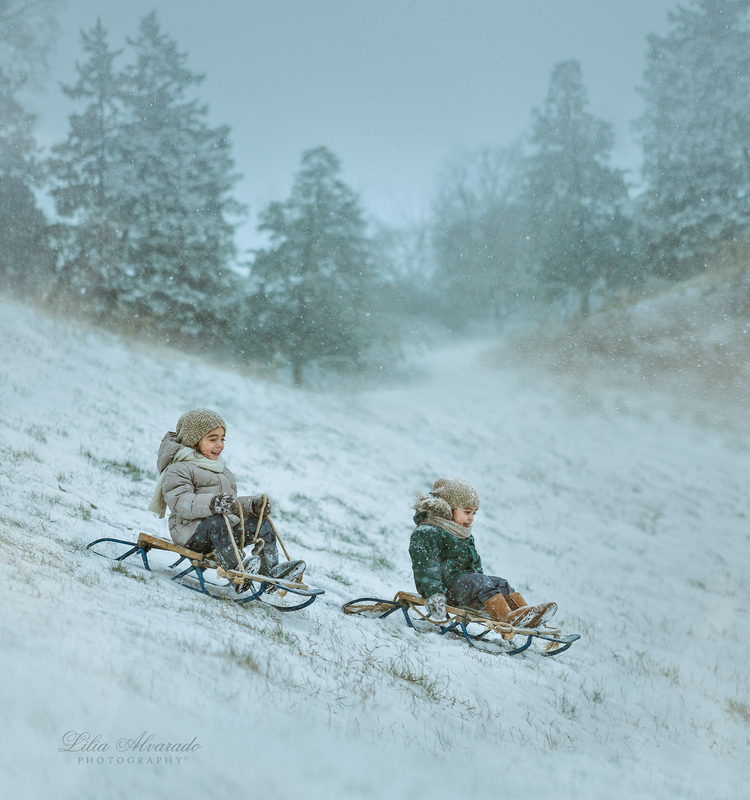 In this case, the little girls are exuberant as they sled down the hill, making for an exciting and sweet photo, all at the same time. Gary A. Randall shows the beauty of Emerald Falls in this gem of a photo. The two-second shutter speed was a perfect choice for adding some motion blur to the waterfall, which is a gorgeous complement to the lush greenery of the surroundings. 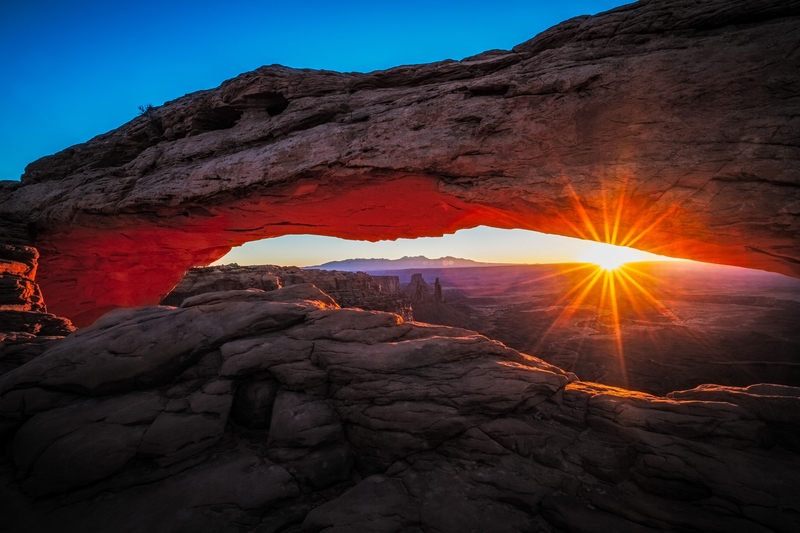 Titled Mesa Star, this shot by Ed is perfectly framed to highlight the beauty of the setting sun. Not only are the rays of light emanating from the sun an eye-catching element in this photo, but the warm tones of the light give this image depth and richness as well. This image by Eugene Chebotarev shows how lines and perspective aren’t just landscape photography elements. The low perspective of this shot makes the model seem tall and thin, and those leading lines in the glass accentuate the upward movement of the eyes when viewing this shot. 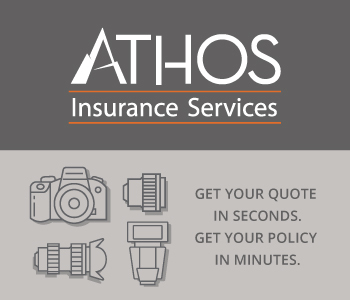 Sometimes, simplicity is the key to creating the best photo. 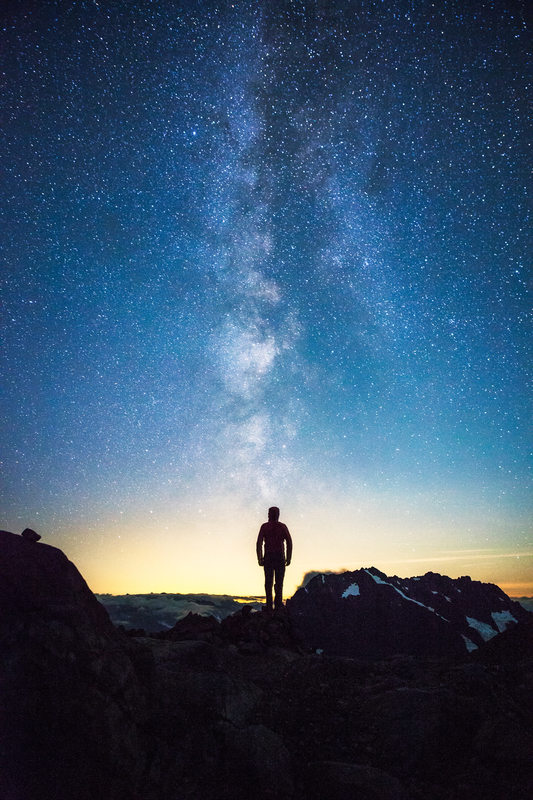 In this case, with the Milky Way as the primary subject, adding nothing more than a human figure in the foreground helps take this photo by Michael Matti to the next level. The detail and the colors in the sky isn’t bad, either! 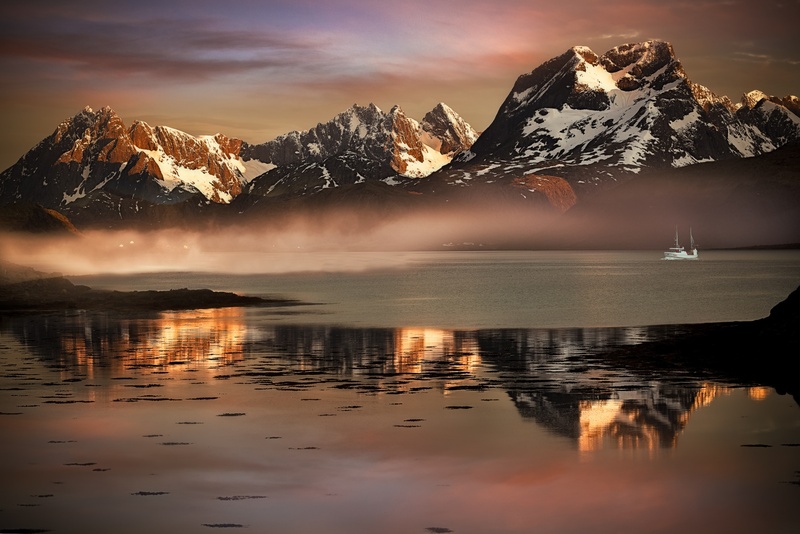 Light and texture play a pivotal role in the creation of an eye-catching landscape photo. 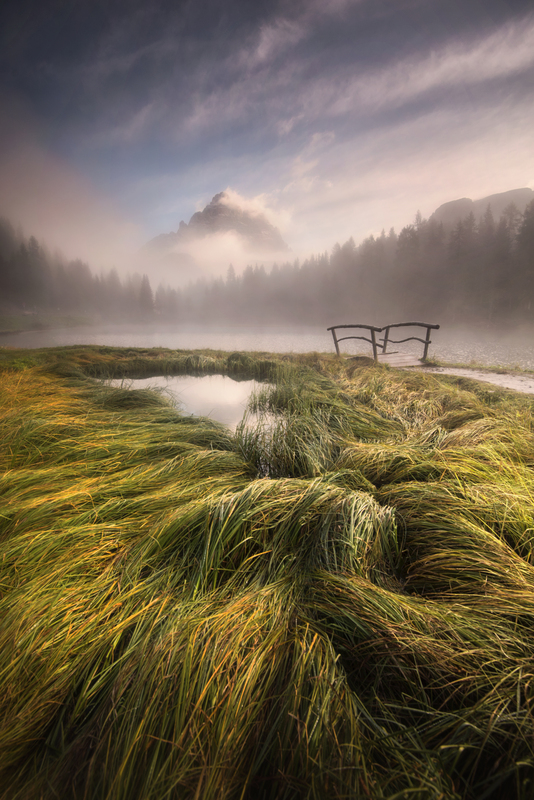 The soaring shapes of the Dolomites only adds more visual interest to this stunning shot! One of the great things about incorporating water into a landscape photo is that you can slow the shutter and get gorgeous movement in the photo. 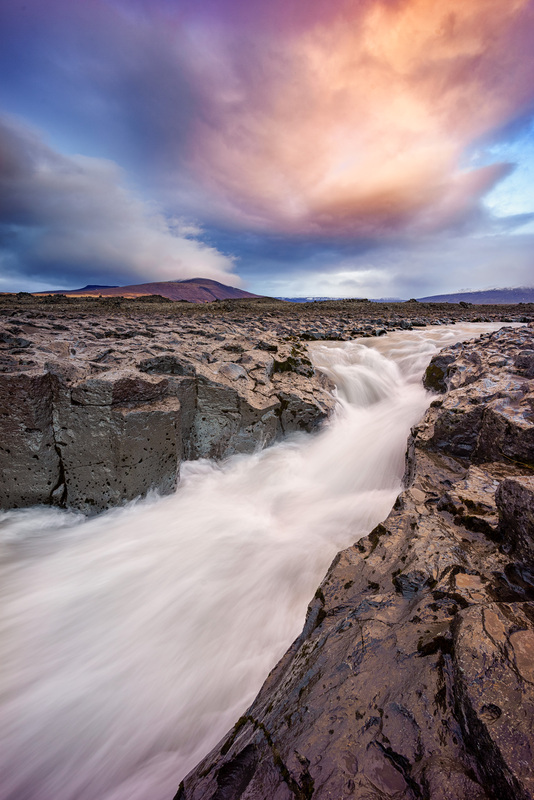 In this shot by Jens Klettenheimer, the water rushing through the narrow gorge adds a bit of drama to the shot, which goes nicely with the dramatic colors of the sunset in the background. Dave offers a master class in using light and color to create a more dramatic image in this gorgeous landscape shot. 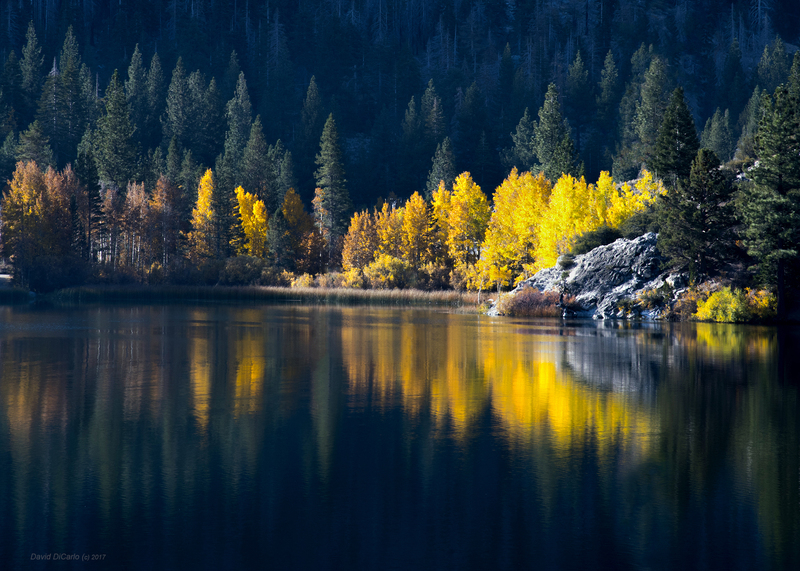 The morning rays of the sunrise illuminate the landscape, particularly the golden leaves of the trees in the center of the shot. The reflection of those colors in the dark lake waters is something else, too! One way to increase the drama in portraits is to add bold wardrobe choices. With the lack of color in this shot, it was necessary to add impact by some other means. The model’s flowing dress certainly does that! There’s plenty of gorgeous vistas in Moab, one of which is Turret Arch. 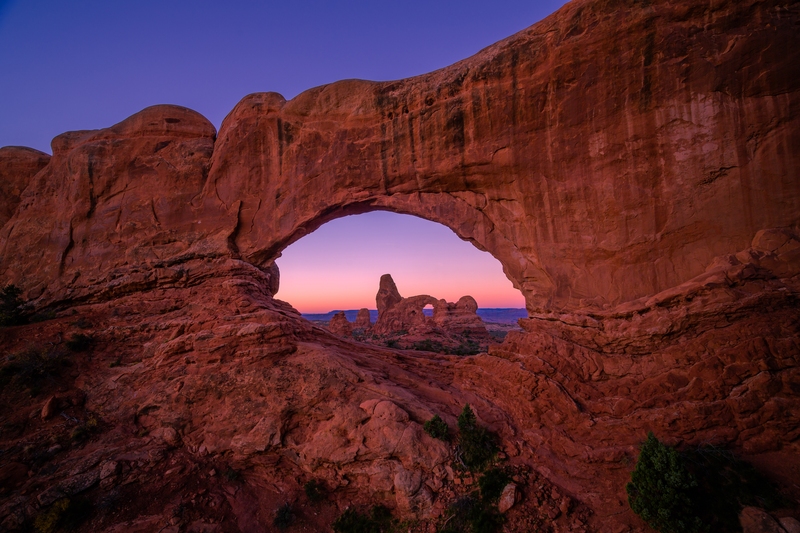 Here, Ed has masterfully composed the shot such that the arch serves as a frame within a frame. Not only does that give us a close-up view of the texture of the arch’s rocks, but it also directs our attention straight to the interesting formations in the background. Bravo, Ed! Often it’s said that if you add another person to a portrait or give the subject a prop, that you will get a more relaxed, natural look. 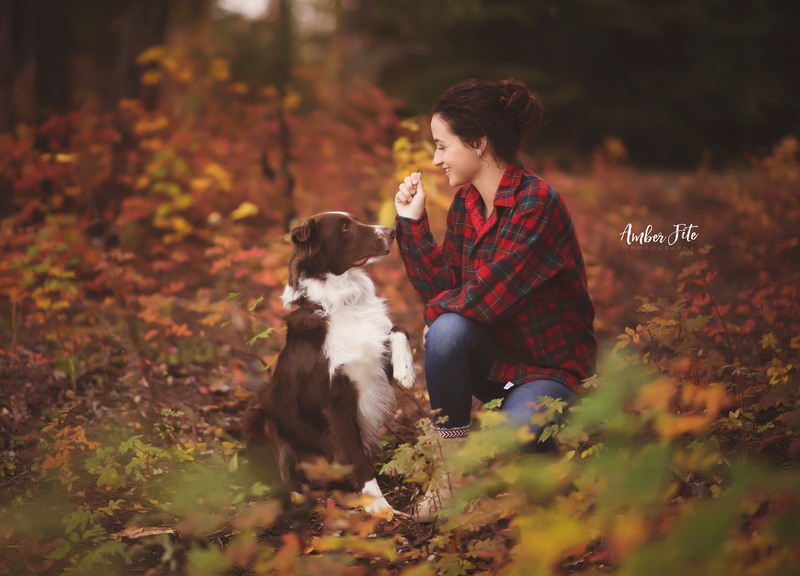 The same can be said for adding man’s best friend to portraits as well, especially if they’re a well-trained pooch like the one in this beautiful shot by Amber Fite. Get more portrait photography tips like this one right here. 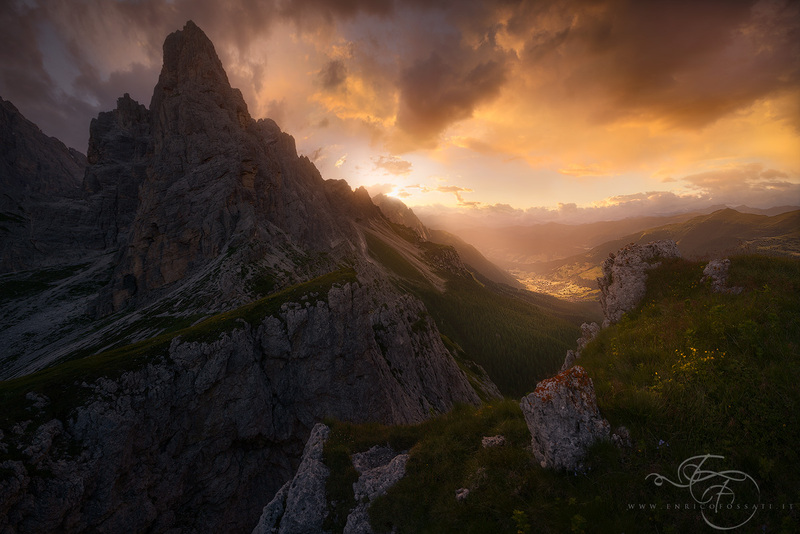 Artur Stanisz has done it again, this time with a breathtaking shot of a sunkissed mountainside. This photo just goes to show that you can capture the beauty and scale of a landscape, even when shooting with a long lens. The tightly framed shot of the mountainside has it all - light, shadow, colors, textures, you name it! 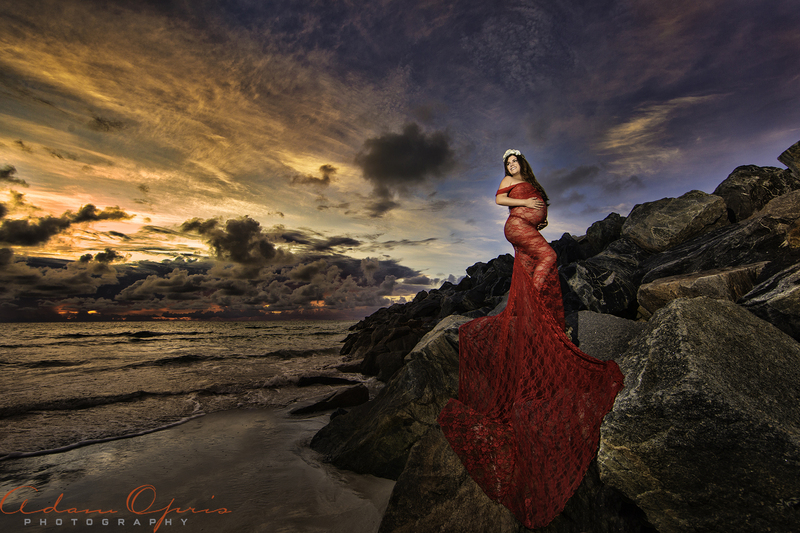 This stellar maternity photo by Adam Opris shows the value of altering the perspective from which you shoot. Usually, a portrait is taken from eye level, but by shooting from below the subject, he puts her in a more pronounced and powerful position in the shot. Great work, Adam! Sunset is the ideal time to capture the beauty of a landscape, which Keith has done to perfection here. 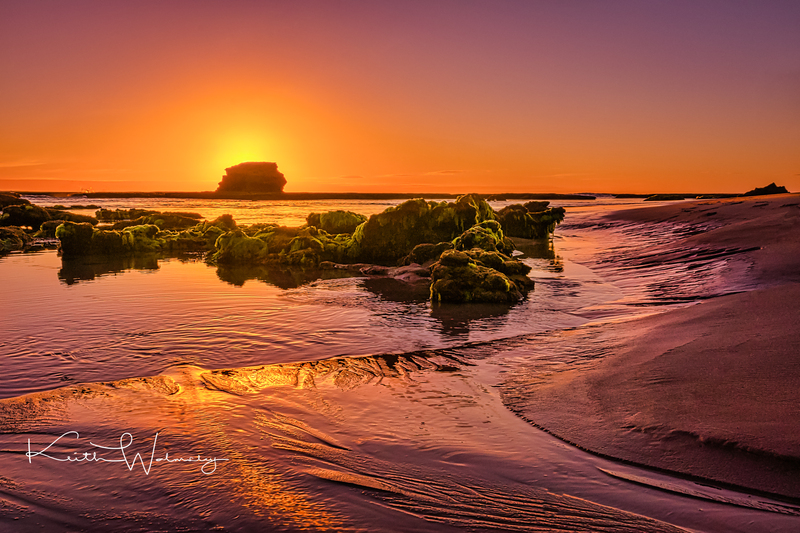 Pulpit Rock off the coast of Victoria, Australia, is rendered as a gorgeous silhouette in front of the setting sun. Aside from the eye-popping colors, the richness of textures in this shot are something else! 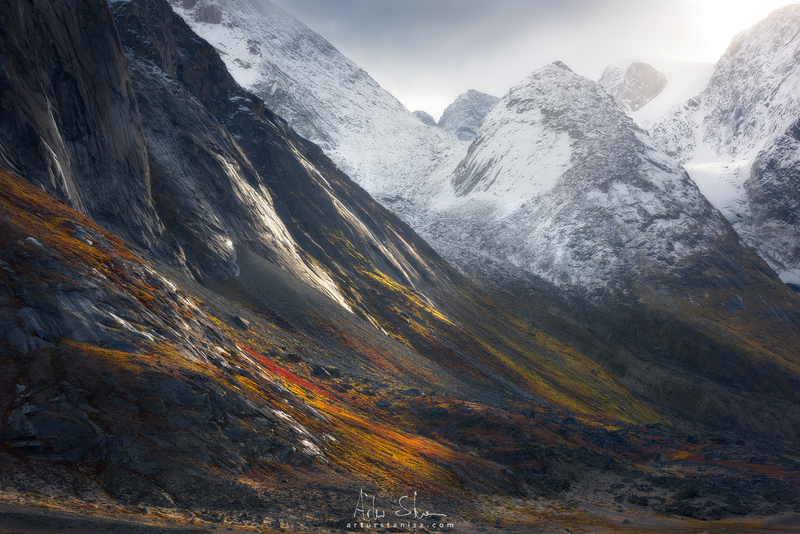 This breathtaking landscape shot by Lior Yaakobi demonstrates the value of scale. By including the ship in the shot, Lior gives us a better sense of the sheer size and scale of the mountains in the background. With that visual information, the landscape becomes that much more impressive! 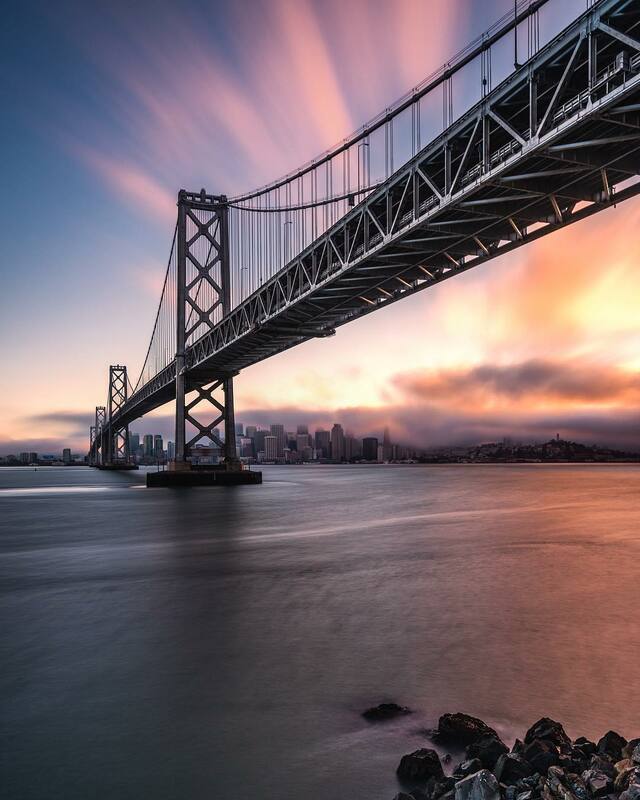 Architecture photography an be a tough beast to master, but Bruce Getty makes it look simple with this gorgeous photo of the Bay Bridge. The structural elements of the bridge offer a beautiful contrast to the flowing clouds and water that are included the shot. Well done, Bruce! This black and white shot by Andy just goes to show that when you convert your images to black and white that you don’t need a ton of details to have an impact. 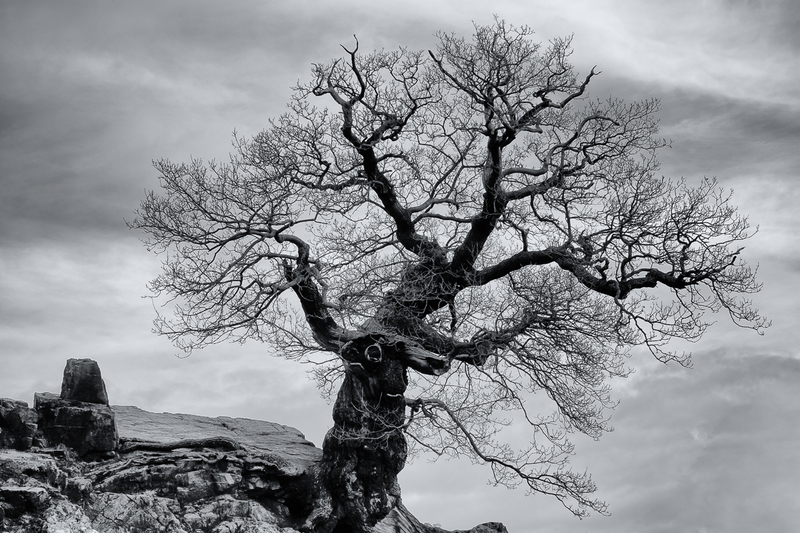 The twisting branches and trunk of this tree set against the muted gray sky is beautiful in its simplicity. They say that in photography, lighting is everything. And while that’s true, timing is everything as well. 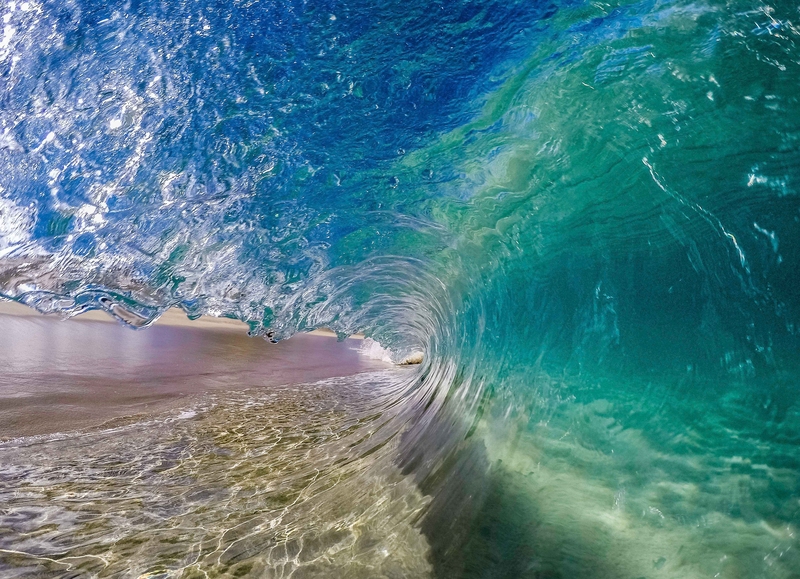 Chris Kincade certainly knows all about timing, as demonstrated in this epic shot from inside the barrel of a wave. This image is a reminder of the value of taking chances with your photography and creating something truly unique. A valuable photography lesson is that you can find beauty in almost anything, at almost any location. 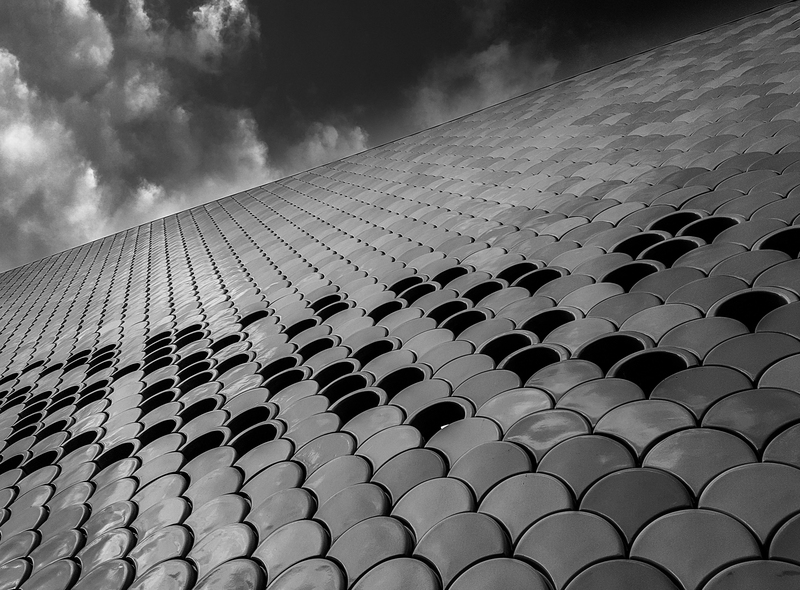 This shot by Daniel proves that mantra - the subject is the side of a building that had an interesting texture. Look up, look down, look left and right, and you might find a compelling subject! Grand Prismatic Spring in Yellowstone National Park, Wyoming, is one of the park’s most photographed features. 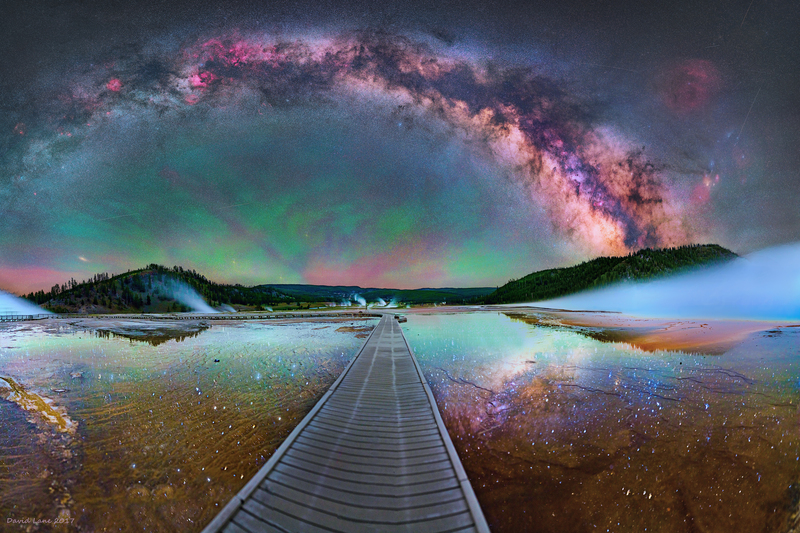 Astrodave’s shot is a good reminder that there’s a whole different world to photograph at night. 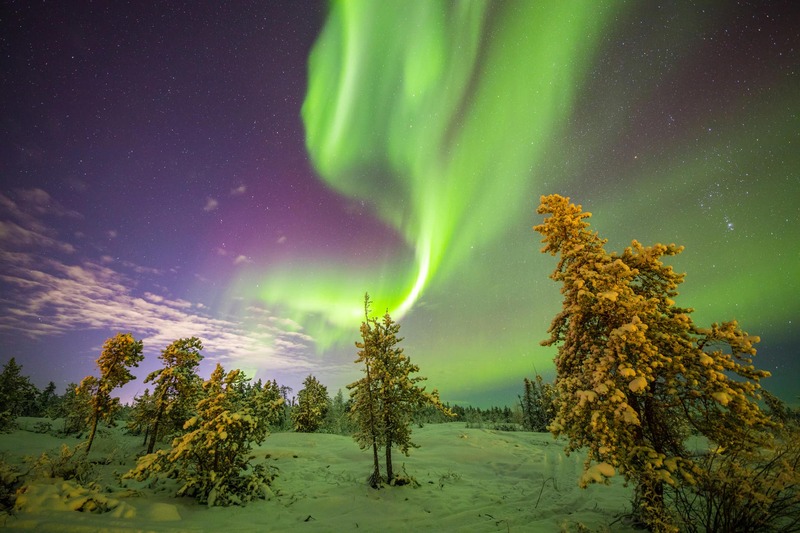 Learn how to take breathtaking photos of the night sky right here. 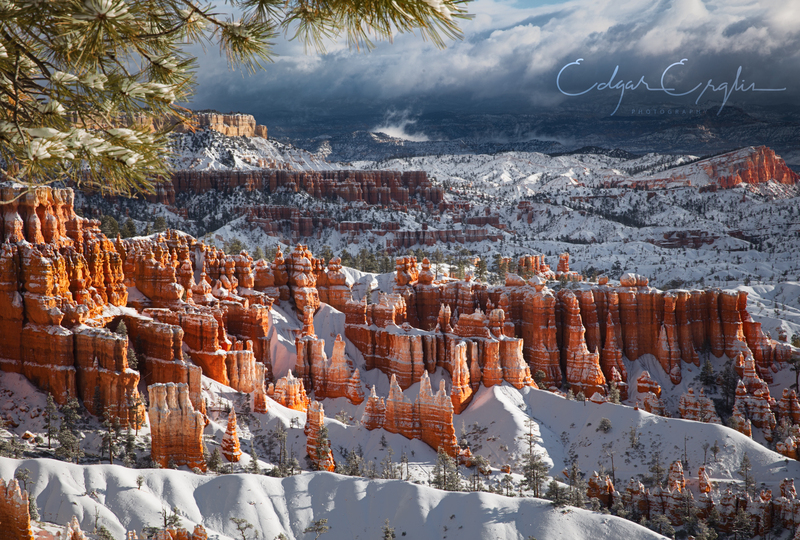 Getting high-quality winter shots can be challenging because of the tendency for snow to look gray, but Ed shows that when things go right, they can be breathtaking! The array of textures and colors help take this shot to the next level, as does the inclusion of the tree branch in the foreground to act as a frame. Great work, Ed! In this case, PT User aakarpatna proves that point with this beautiful black and white photo of a group of silhouetted people. Their dark forms against the bright windows gives this image tons of dynamic range that makes it such an exciting photo to view. 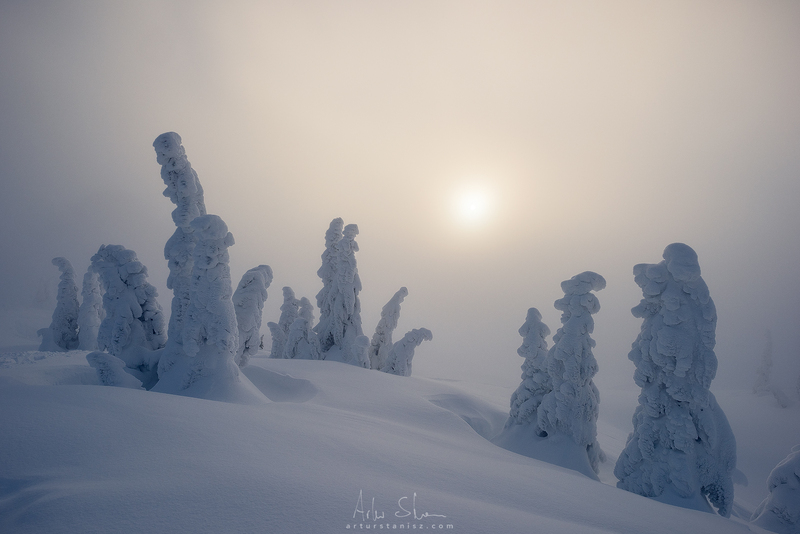 Capturing a high-quality photo in the depths of winter is hard enough from a white balance standpoint, but add in fog, and you have a recipe for a truly difficult photo to get. But Artur Stanisz shows us how it’s done here, with a perfectly balanced wintertime photo that all but puts you right there in the cold, foggy, snowbound scene. Good stuff, Artur! 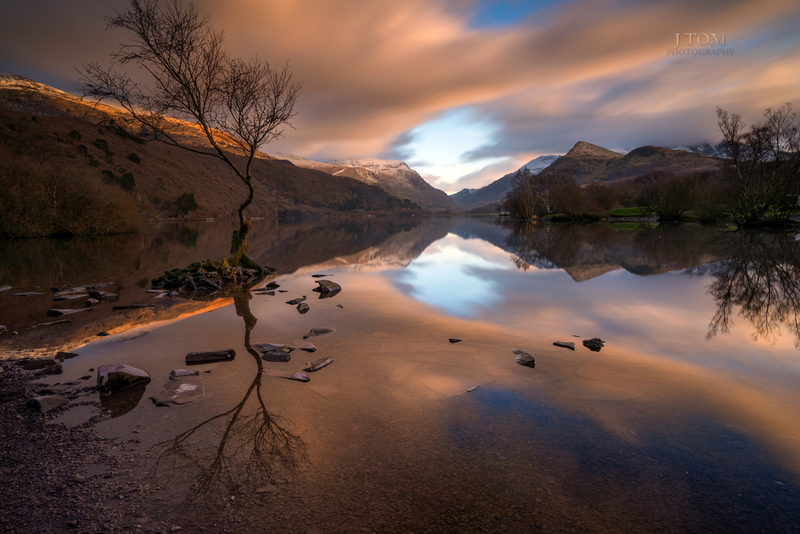 J_Tom offers up this stunning shot of a Welsh Landscape that demonstrates how the use of light can make or break the photo. In this case, the timing was just right to get the soft, warm glow of the sun after it set. Had the shot been taken a few minutes earlier, the light might have been too intense, and a few minutes later, the light might have been too dark. Timing is everything, right? One of the keys to creating a great photo is trying something unique that people haven’t seen before. In this instance, Cora Coronel offers a new take on a portrait by incorporating candles in the foreground to add interest to the shot, as well as to give the model a nice, warm glow. 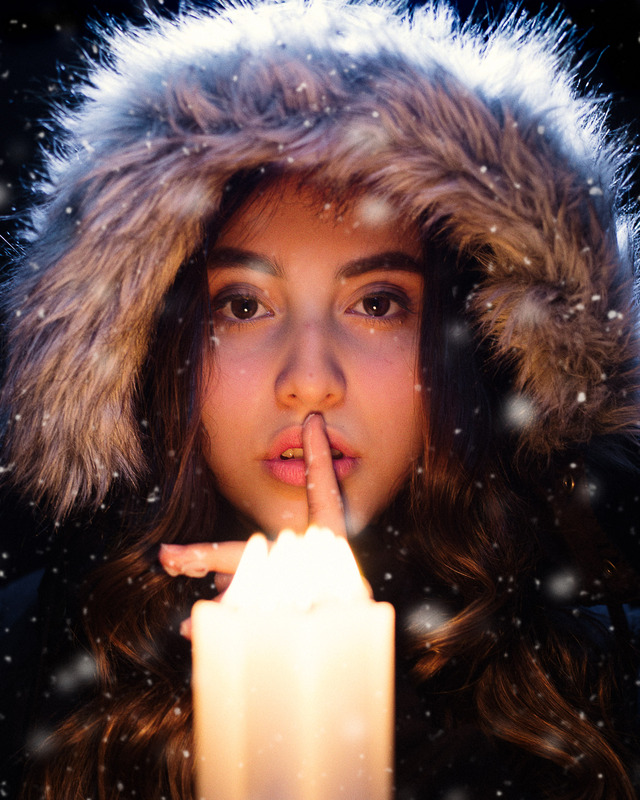 The glow of the candles juxtaposes gorgeously with the wintry scene around the model, giving this portrait even more visual interest. 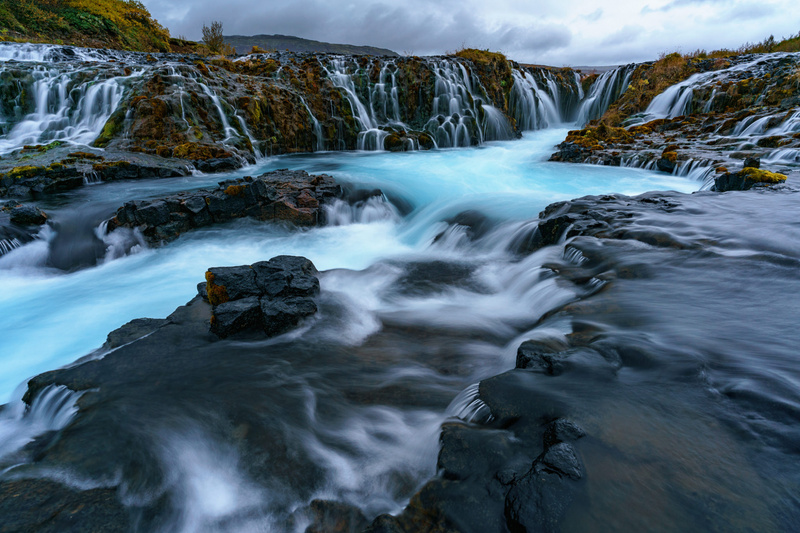 Jens Klettenheimer offers a unique point of view of this waterfall by taking a lower-than-usual shooting perspective. By getting closer to the water’s surface, Jens is able to highlight the texture of the rocks and the depth of the water, which gives this image more dimension. Nice work, Jens! 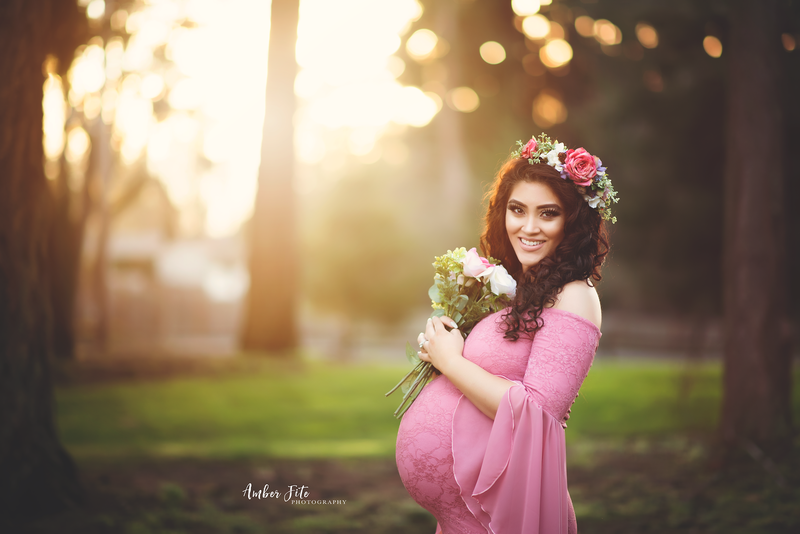 The key to a great maternity photo is showing off mom’s baby bump. In this gorgeous portrait by Amber Fite, the profile view of this expecting mother puts her beautiful baby bump on full display. The gorgeous gown also helps highlight the fact that this mom-to-be is expecting twins. It all comes together for one heck of a shot! 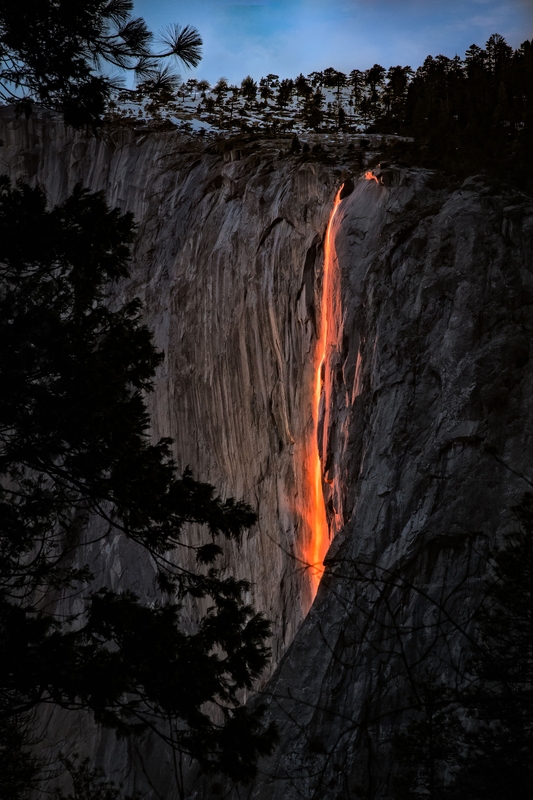 Each year for a brief period, the sun illuminates Horsetail Falls in Yosemite National Park, creating the illusion that the waterfall is made of fire. In this shot, Ed captures the beauty and majesty of the moment perfectly. The muted colors in the rest of the photo let the fiery water take center stage. Great work, Ed! If you have images you'd like to share with the community, and if you'd like a chance for your photos to be featured in an article like this one, upload your images to our galleries!